We offer a complete hose fittings and tunnel engineering program. As a privately owned company, we place a constant readiness to deliver next to high value on the quality and functionality of our products. Our experts, some with many years of experience, are available for whenever you are needing advice with consulting, planning, policies and services. As a customer you will benefit also from the constant dialogue we have with our clients and suppliers. For over forty years, Akkerman has developed, manufactured and supported quality pipe jacking and tunneling equipment that accurately installs a variety of underground infrastructure. We help contractors explore project solutions for an extensive range of diameters and geology. Akkerman is driven for our customers success. For 30 years, Amberg Technologies AG has been developing user-friendly system solutions for georeferenced data acquisition and processing in the field of infrastructure development. The Swiss company offers standardised products, customer-specific system solutions and project-specific services in the fields of railway surveying, tunnel surveying, tunnel inspections and tunnel seismics. ACT offers two full-synthetic, fire-resistant hydraulic fluids for the tunneling industry. Both fluids are "readily biodegradable” and one offers 100% water solubility. These fluids provide the high-performance and system reliability necessary to keep the project on schedule, and at the same time, have low environmental impact on the job site. Ameron Protective Linings Division manufactures the proprietary T-Lock PVC lining system for use in large diameter concrete pipe and tunnel construction. For new construction of jacking pipe or concrete tunnnel pipe segments, T-Lock is embedded into the substrate during the precasting process. For tunnel rehabilitation, Ameron\\\'s T-Hab process, featuring sheets of the PVC T-Lock liner are installed inside the damaged structure using special forms and structural grout. Amix Systems Ltd (Amix) designs and manufactures superior grout and backfill mixing systems providing projects with better solutions. Amix’s mixing systems produce a homogeneous, flowable product that has been proven to reduce time, labour, and materials. Our products are designed with a focus on reliability (with substantially less operating and maintenance costs), modular design, and ease of site setup, transport and site security. Manufacturer and supplier of new and rebuilt roadheaders, hydraulic rock cutters and lattice girders. ASCOM SPA is an Italian company designing and producing special lifting and handling equipment. Our Special Equipment Division is specialized in equipment for infrastructure civil works construction including tunnels,casting yard handling, bridges, viaducts, and ports. We design and produce, to your specific needs, straddle carriers, gantry cranes, low carriers, self-propelled trolleys for TBM segments supply and any other specialty. Highly specialized design and engineering for mechanized tunneling. Serving worldwide clients and contractors with customized services including detailed design, tender support, construction management, means and methods, application and operation assistance, trouble shooting, claim assistance, and independent reviews. Bajaj Reinforcements LLP is a sister concern of Bajaj Steel Industries, Nagpur. We are one of the leading manufacturers of 100% virgin polypropylene fibres. We manufacture two types of fibre under the name of fibre tuff and fibre guard. Fibre tuff as the name suggests is used for the replacement of steel bars in ground supported slabs. It is very cost effectective, easy to use. It helps in controlling cracks in concrete. Ballard Diving & Hyperbaric Services (BDHs) is a world leader in tunnel hyperbaric support services and products. BDHs has a reputation for managing highly complex tasks in a cost effective and efficient manner. By providing specialty turnkey solutions to contractors requiring hyperbaric equipment, personnel and commercial diving services, BDHs has become a preferred international provider. We have experienced supervisory personnel and a full complement of experienced and qualified Compressed Air Workers, Dive Medical Technicians, Hyperbaric Nurses, Hyperbaric Physician Assistants and other specialty personnel. For project consultation, or entire project support BDHs is the right choice. BANTAL mining and civil are a services provider and contractor to the mining and civil industries both in Australia and internationally. We specialise in ground support systems and are a leader in Australia. Our range of equipment provided centres around electric trucks, loaders and drills. We also supply tunnelling transport and shotcreting equipment. Formed in 1972, BAPP is the largest independent fastener distributor in the United Kingdom and has over 20 years of specialist knowledge of exporting fasteners around the world. ISO9001, “CE” , Lloyds, and Link-up approved massively knowledgeable management team with over 300 years of industry experience. A philosophy to hold stock so that our clients can reduce inventory levels. VMI/Kanban systems offering significant advantages over our competitors systems. A culture that fosters knowledge of our products and their use – to our customers benefit. BASF Construction Chemicals offers worldwide customized solutions through its unique blend of innovative product technology, specialized equipment and engineering knowledge. Our international tunnelling specialists work closely with contractors and design engineers to overcome the underground engineering challenges you face in a safe, cost and time effective manner. BASF has been instrumental in bringing new methods to the tunnelling and mining industry. Baumhueter Extrusion GmbH is the producer of the premium PP fiber PB EUROFIBER. PB EUROFIBERS are functional fibers developed especially for the construction industry. Our PP fibers have been used in many tunnel projects worldwide to avoid concrete spalling in case of fire. In 2011 we introduced a complete new high efficiency PP fiber called PB EUROFIBER HPR. This fiber is usually used with only 500-900g/m³ instead of 1500-2000g/m³ to achieve economical and technical benefits. Bekaert Maccaferri Underground Solutions is your global partner for smart fibre reinforcement of your tunnelling and mining projects. We offer Dramix® steel fibres for shotcrete initial linings, final linings, shaft linings, precast segments and cast in-situ linings. We also have macro and micro-synthetic fibres. Synmix® and Umix® for temporary support in mining, and Duomix® M6 Fire to increase the fire resistance of concrete. BESTAR of China is a leading product service provider and exporter of steel pipe and the most valuable subsidiary of Shinestar Holdings Group. BESTAR passed the SGS Certification of China Supplier System, ISO9001 Quality Management System Certification, ISO 14001 Environment Management System Certification, OHSAS 18001 Occupational Health and Safety Management System Certification and CE certification and has a high score in the HuaXia D&B assessment and a AAAAA credit rating. The need to help our water and energy clients with the specialized and sometimes risky business of tunneling has created an extensive, international geotechnical practice within Black & Veatch. Our understanding of tunneling issues results in innovative and robust solutions for challenges that face utilities and governments. From planning and design, to construction management and operation, Black & Veatch has the special combination of tunneling expertise that you need to succeed. We are a manufacturer of plastics and metal for the construction industry. We offer threaded inserts, pulling irons and duct terminators among our many and varied products. Please visit our web site. Brierley Associates is a privately held national tunnel, trenchless, geotechnical, and geo-structural design firm with offices strategically located in eight states. Brierley Associates has a long history of delivering recognizable value to our clients and projects by providing cost effective and constructible solutions. We understand that planning, design, and construction of subsurface projects is a complex mixture of client needs, contractual preferences, risk allocation, third party requirements, design criteria, and subsurface conditions. At Brierley Associates, our staff of over 50 ground engineering professionals enjoys what we do and spend a great deal of time doing it. We believe that trust is the greatest form of human motivation and we strive to make clients glad that they came in contact with our firm. The partners of Brierley Associates are committed to providing accurate and highly focused information in a timely and cost effective manner. Brokk is the world´s leading manufacturer of remote controlled demolition machines. Since 1976 the company has developed demolition and maintenance solutions for the construction, cement, mining, metal process, tunnelling and the nuclear industry, as well as a variety of demolition solutions for special assignments and projects world wide. From headquarters in Sweden, our products are marketed, sold and serviced globally through a network of subsidiaries, distributors and agents. Brookville manufactures rail-mounted personnel carriers and tunneling locomotives in both diesel and battery-powered designs. Units feature a planetary final drive gear reducer at each wheel end to divide driveline torque and shock loading for reduced stress and improved service life. Liquid-cooled internal wet disc brakes result in longer life and maximum braking capacity. Bolt-on wheels allow for easy field change-out. BEC also builds rubber-tired equipment suited for steep tunnel grades. CARCO is a leading company specialized in large diameter sealing solutions. Since 1900 CARCO manufactures rubber & plastic seals for the most demanding heavy duty applications. We design and supply the largest rubber dynamic seals to protect the cutter-head main bearing in TBM and EPBM; we also supply solutions for the screw conveyor and the articulation seal. With the largest compression moulding press in the world, we are the supplier of the major OEMs for tunnelling machines. Suppliers of glassfibre, carbon fibre structural tunnel linnings, including the supply of all concrete repair additives and ancillaries. CBE Group designs and creates segment moulds for concrete segmentally lined tunnels, handling equipment and precast facilities for all kinds of tunnel projects and all possible diameters including water, rail, and cable tunnels by supplying full service from pre-project engineering, production, assembly, site staff training and maintenance during the whole tunnel construction process. Offering the widest assortment of high quality bentonite drilling fluids, grouts, sealants, polymers, and additives. CETCO can help maximize your drilling efficiency and meet your needs in the field. Our complete line of professional products is specially designed to enhance the cost-effectiveness of drilling operations by controlling and improving drilling fluid properties. Each and every drilling product is supported by our experienced team of field engineers and research scientists. With the industry’s best on-site engineering and advanced technical support, CETCO is committed to ensuring the success in any drilling project. Air is a vital element. Its production, transport, purification and compliance with regulatory limits for respirable dust, temperature, etc, is among the major challenges for workplace environments in the tunnelling sector. In this context, CFT provides you with state-of-the-art ventilation technology. Our products offer effective solutions in the core areas of dedusting, ventilation, heating and cooling of air, as well as in the fields of ducting and gas purification. CREG specializes in R&D and manufacture of various TBMs including EPB TBMs, slurry TBMs, multi-mode TBMs, rectangular TBMs, U-shape TBMs, hard rock TBMs, pipejacking machines and auxiliary equipment, and commits to full-range after-sales services. CREG products have been widely used in more than 30 cities in China and exported internationally to Malaysia, Singapore, India and the Middle East. ln December 2013 acquisition of the Wirth intellectual property expanded the CREG brand into the hard rock TBM field. 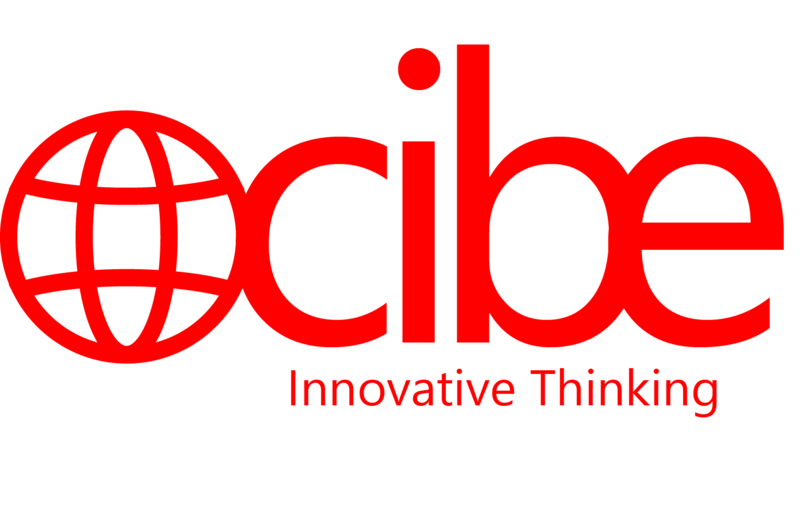 CIBE is a global cost consultancy working on major tunnelling works and other large scale infrastructure projects. It provides cost, value and risk assesment services for clients establishing or stabilising baselines and works winning strategies for constructors. We also facilitate validation, audit and assurance of outputs from our extensive databases for both client teams and Tier 1 bidders. Market leaders in rail haulage equipment providing the industry with a range of locomotives, including battery, flameproof battery, trolley and diesel locomotives. Clayton also has a range of rolling stock for both mining and tunneling applications. Professionalism and quality, based on proven experience, are lay disciplines that keep Clayton at the forefront of its chosen field. Manufacturer of rubber conveyor belt, including steel cord conveyor belt and fabric conveyor belt. Products are used in bulk material transport including muck haulage for tunnel projects. CODEL's tunnel atmosphere sensors are designed exclusively for road tunnel applications. We offer a family of monitors that provide all the essential measurements necessary to monitor the tunnel atmosphere. This is achieved with a modular design concept so that the user's precise monitoring requirements can be satisfied with a minimum number of components, minimum tunnel cabling and minimum installation costs. CODEL sensors are installed in more than 350 road and rail tunnels worldwide. One of the United Kingdom's premier first line service providers of transport and shipping solutions, Collett Transport is a specialist in heavy and project cargo, and port and shipping services, as well as providing route/site access consultation, surveys, and reports to engineering standards. Established for more than 40 years, the company owns and operates a significant fleet of specialist transporters, and employs a number of senior project managers with experience in the underground sector. Compressed Air Medical Services, L.L.C is an industry leader in tunnel hyperbaric support services. We provide expert resources regarding hyperbaric work associated with tunneling applications. Our work encompasses safety training, emergent medical issues, occupational health, rescue & extrication. Security first. Efficiency first. Whether general contractor, project manager or builder: if you want to work underground you will need not only the right equipment, but also a highly efficient electronic work area safety tool which can noticeably unburden your personnel as well as your company. Welcome to Compressed Air Work. Manufacturer of the most dependable and, 'almost' indestructible, molded rubber electrical connectors in the industry of tunneling and construction. Connomac manufactures temporary light cords-heavy duty pump/motor connectors - portable power connectors - control connectors - magnet connectors. Our String-a-Lights and power cords are made to lengths and capacity to suit your needs with ampacity range of 1 amp to 160 amps, 600 volts, single phase or three phase. Connomac connectors are corrosion, weather, water and flame resistant in both the miniature and heavy duty versions. Some gear mount versions are available. We really are the light at the end of the tunnel! ConmicShield® is a revolutionary additive for concrete that stops hydrogen sulfide corrosion in sanitary sewers. ConmicShield® is neither a surface treatment nor a coating that can wear off, wash off, delaminate or peel. ConmicShield® is bonded molecularly to each cement particle to provide total cross section protection. Accurate surface preparation and proper thickness placement is no longer a worry. Enjoy the long-term effectiveness of fully-protected concrete pipe and structures. The Construction Safety Software Corporation has developed a unique web-based safety application for the construction, mine, quarry and utility construction industries. Our premier application - Construction Safety Supervisor - is designed from the ground up for the industries we service. CTS Cordes develops, manufactures & supplies tailor made elastomer sealing systems for TBM driven tunnel and pipe jacking application, such as TBM & launching shaft seals, tunnel segment & pipe sealing gaskets and emergency seals. CUES provides CCTV pipeline inspection solutions by combining industry know-how, top-of-the-line equipment, and the most responsive customer service in the industry. All CUES systems are proudly made in America! CUES offers a one-stop shop for all of your pipeline inspection, rehabilitation, condition assessment software, and pipe profiling needs. Da-mite Rock Splitting Mortar is used to fracture rock in areas where blasting is not preferred. Hole diameters are from 1 1/4" to 3.0" in diameter. Da-mite can be pumped and is being used in tunnel projects. It can be used also under water. Much more information is on our website. Daigh Company can assist with hole pattern designs and technical assistance, and can train crews in the mixing and application of Da-mite. Datwyler Sealing Technologies stands for high-quality seals and gaskets for long term service in tunnels, tunnel segment gaskets and hydrophilic seals. With the acquisition of the Business Unit Profiles of PHOENIX Dichtungstechnik GmbH in January 2012 Datwyler is reinforcing its niche position in the global market and is becoming one of the leading suppliers with more than 650 tunnelling references during the last 45 years such as: Metro Los Angeles, Moscow, Singapore, Sydney, Riad, Berlin, Paris, London and Dubai metro red and green line. These sealing systems are developed in house and engineered individually to meet the requirements of the specific tunnel. We offer the combination of gasket and hydrophilic seal as a primary and secondary seal, or as a co-extruded solution. As a forward-looking technology Datwyler gaskets that are directly anchored in the concrete segment offer a variety of remarkable advantages. DB Systems USA manufactures a stronger stay-in-place forming product called Quickjet. Quickjet is designed to help the contractor save time and labor. Manufacturer of polyurethane grout, De Neef has more than 30 years experience as an industry leader. The company's cutting edge technology and dedicated Contractor Support Team is invaluable to the success of its clients. De Neef products include a full line of injectable tubes, waterstops, microfine cements, methacrylates, epoxies, polyurethanes, acrylates and more. View website for Superflex, a durable flexible acrylate grout with field adjustable set times of 3 seconds to 3 hours. We offer strategies for the planning of survey work and tunnel survey grids, choice of the survey methods and simulation for intersection forecasts as well as the complete carrying out of the survey including evaluation and data analysis. Our conceptions are developed right from the planning phase considering technical and economical aspects to give the best possible advice. The result is a cost-effective survey and a high-precision tunnel intersection. 30 years ago, in Austria, Dr Gerhard Sauer founded a tunnelling consultancy. The company soon opened subsidiaries in North America and the United Kingdom and began offering design and consulting services for tunnel projects around the globe. As the firm has grown, so have its services. Today, a full range of cost-effective and innovative tunnelling solutions are provided and Dr.Sauer & Partners is recognised as one of the leading consultants for design and construction supervision. As the leading subsidiary of Spain’s giant construction conglomerate ACS, DRAGADOS is among the largest general contractors in Spain. With expertise in heavy construction and tunnelling, it is often involved in development of major PPP and BOOT concessions. The company’s tunnelling activity is managed by the Dirección Tecnica Obras Subterráneas or Underground Technical Department, headed by Enrique Pedro Fernández González. Drill Tech Drilling & Shoring, Inc offers a full line of tunneling, drilling and foundation services. Drill Tech specializes in new tunnel and mine construction and tunnel rehabilitation all over the USA. DSI Underground is a globally leading system developer, producer and supplier for Underground Mining and Tunneling employing more than 1,400 employees in more than 70 countries and at 20 regional production sites. We have the world’s largest range of dynamic anchor systems, injection resins, pumpable injection chemicals and forepoling systems for more safety underground and are able to offer you a customized product range. Specialty geotechnical/geophysical company with ability to do advanced indepth surveys both prior to the formation of the GBR and to see the conditions ahead of the TBM while boring. Edvirt AB is a Swedish ed-tech company operating in the field of virtual training for mining and tunnelling operations. Edvirt developed the world\\\'s first simulator for sprayed concrete application, the 3D Shotcrete Simulator™. Shotcrete contractors, mining companies and educational institutes are now using it to educate nozzlemen in an efficient way, without the costs of concrete waste, machine wear and tear or exposing inexperienced nozzlemen to the hazardous environments of tunnels and mines. ES Rubber offers a wide range of sealing solutions and provides its extensive experience to successful tunneling projects around the world. Design is in cooperation with Dr Werner Grabe, who brings more than 25 years of experience in developing sealing gaskets for tunneling. In-house rubber compounding, mixing and laboratory facilities; Extrusion and vulcanization on modern production lines; Performance tests certified by MPA BAU Hannover, Germany. "BarChip - The world’s leading macro synthetic fibre for tunnelling and mining" Elasto Plastic Concrete has developed the highly engineered Barchip macro synthetic fibre, with its unique embossing, giving the performance to replace steel fibre or wire welded mesh in primary and secondary shotcrete reinforcement. Emmert International specializes in heavy haul transportation and rigging services, providing customers with state-of-the-art support and transportation equipment on a global level. Headquartered in Clackamas, Oregon, near Portland, Emmert designs, engineers, and manufactures the heavy haul and rigging equipment necessary to execute some of the most uniquely customized projects in the world. FiReP® manufactures a range of FRP products such as rebar and anchors. In the field of tunnelling and civil engineering we cover all aspects from development to production and application. Our fibreglass reinforced polymer is the solution for high technical requirements for all temporary and permanent applications. On numerous projects worldwide FiReP® bolts and rebar have been installed as rock support, soil nail, self-drilling injection bolt, soft-eye construction and more. Manufacturer of cement based waterproof coatings and mortars for the reinstating and protection of in-situ and precast reinforced concrete elements. Products are waterproof to some 100m head of water and can reinstate 120mm of effective concrete cover, as well as provide complete protection from chloride ingress. Successful history of use on many major tunnelling projects world-wide including the Channel Tunnel and the Oresund Tunnel. Also ideal for encapsulating asbestos in segment joints and for protection of passive fire protection. Products are water-based and can be applied to damp surfaces. Supplier of FRP anchors/rebars. Supplier of steel and synthetic fibers. Frontier-Kemper Constructors, Inc. (FKCI) is widely recognized as a leader in the underground and heavy civil construction industry. Our strength in tunnel construction, having completed more than 200 miles of tunnels, has made Frontier-Kemper a reliable builder of rapid transit systems, combined sewer overflow (CSO) systems, and water supply systems throughout North America. It is our goal to be the best-value source of complete turnkey construction services in the industry. Design and manufacture of rugged communications. Emergency telephones, VoIP and analogue; built to last in harsh environments; designed to be remotely monitored; link into existing security systems; installed in road and rail tunnels worldwide. Conveyor and signalling systems, and telephones for mining, complete systems to cover all areas. Geocomp provides comprehensive geostructural design and performance monitoring services to clients across the United States and around the globe. Our professional staff combine in depth understanding of structural and geotechnical material behavior with the latest in performance monitoring technologies to provide innovative and sound geostructural solutions - resulting in better control of risk and cost of projects. Geotechnical and construction consultants specializing indiffering site condition entitlement and forensic investigations. GEOFORM Canada Ltd. is a Canadian supplier of high-quality products and services providing underground and construction solutions to the mining, tunnelling and construction industries. With many years of experience in the industry, we collaborate with various reputable Canadian and international manufacturers to provide construction and engineering companies underground equipment; ground support products; special cement tissues and chemical pumps, and products; pipe roof support systems; ground stabilization products; waterproofing systems; ventilation fans, and flexible ducting; hydraulic expandable utility containers; and security equipment. Geokon, Inc. manufactures a full range of high-quality geotechnical instrumentation suitable for monitoring the safety and stability of a variety of civil and mining structures including mine openings, tunnels, underground caverns, foundations, and piles. Geokon, an innovative leader in vibrating wire technology for more than 30 years, is well known throughout the world for its high-quality line of vibrating wire sensors, which exhibit excellent long-term stability, accuracy and reliability even in the most adverse conditions. Geokon's product line includes extensometers, convergence meters, stressmeters, piezometers, pressure cells, strain gauges, inclinometers, load cells, dataloggers and web-based data visualization software packages. GES provides specialised contract services to the civil and surface mining, underground mining, civil construction, mineral processing, electrical & power generation industries. Our services include the procurement, marketing/disposal and valuation of special design, surplus, refurbished or used equipment from a single item through to a complete mine site. Our specialty is used underground mining equipment, used surface mining equipment and used construction equipment. GIERTSEN Tunnel AS is a specialist company in the field of waterproofing. We offer our own patented waterproofing solutions for tunnels and rock caverns worldwide. Our staff of professional employees have been working in the field of waterproofing for more than 25 years. Our systems have been installed in all kinds of underground rock caverns and in more than 70 road tunnels including the world's deepest subsea tunnel, the Eiksundtunnel in Norway that is 287m below sea level. Since 1927 we have provided top quality legal advice and pragmatic solutions to local, national and international clients. We know the importance of building strong relationships with our clients. We seek to understand their objectives, the commercial environment within which they operate and their need for practical legal advice. We are proactive, are committed to drafting legal documents in plain English and to communicating with our clients in a straightforward manner. Halcrow specialises in the provision of planning, design and management services for infrastructure development worldwide. Halcrow's enviable reputation, spanning more than 75 years in the tunnelling industry, has been established by our provision of reliable specialist advice and well-engineered solutions to challenges in infrastructure development. As an API and ISO certificated manufacturer of raise borer drill rods and stabilizers, Henan Zhongyuan has an open die forging factory with heat treatment and CNC machining facilities to manufacture various forged parts including hollow bars, roller shafts, gear shafts, pipe molds, pump heads, forged discs, integral spiral blade stabilizers for oil drilling and customized forged parts. As the only company worldwide, Herrenknecht Herrenknecht AG delivers tunnel boring machines for all ground conditions and in all diameters – ranging from 0.10 to 19 meters. The product range includes tailor-made machines for transport tunnels, supply and disposal tunnels and additional equipment and service packages. Furthermore, Herrenknecht manufactures drilling rigs for vertical and inclined shafts as well as deep drilling rigs and mining equipment. Herrenknecht Formwork Technology is an independent subsidiary of Herrenknecht AG. The ISO 9001:2000 certified company develops, manufactures and sells high-quality mould systems for mechanized tunneling worldwide. From mould systems for segment production, including a special technology for lining of utility tunnels (Combisegments®), to special handling and transportation equipment as well as turnkey segment plants. Herrenknecht Formwork offers everything from a single source. China Industrial Products & Material Supplies offers industrial products, components and material for gear, piping, power, electronic, test, thermal, etc. Honest Industrial is a professional agency and a franchiser of automation gear, plumbing, pipeline, power transmission, machinery components. Honest Industrial specializes in industrial products, materials or components such as automation gear, control gear, plumbing, pipeline, pneumatic power transmission etc. Manufacturer of Aslan FRP, fiber reinforced polymer materials, including GFRP Rebar for diaphragm-wall 'soft-eye' openings, GFRP Rockbolts, passive and active 'removable' or 'consumable' soil nails and earth anchors, FRP pre-consolidation bars for SEM face stabilization. We produce and supply seamless steel pipe, ERW steel pipe, LSAW steel pipe, SSAW steel pipe. We offer high quality at a lower price level. Trust you will be your best assurance. I.CO.P. offers the customer an internal consulting and project service that can answer to the most demanding requests. The rapid growth of the transport and communication systems has caused a growing demand for tunnelling equipment able to operate in increasingly difficult conditions. The improvement of shielded cutterhead technology now ranges from large- to small- size tunnelling and the development of the microtunnelling. Consulting, design and engineering services in the fields of tunnel ventilation, tunnel safety, smoke control and the aerodynamics of buildings and structures. InnoTrans is the international railway and infrastructure trade show that takes place every two years in Berlin, Germany. The next event, InnoTrans 2010, will run from September 21 to 24 next year. Tunnel construction is one of the industry product segments at InnoTrans that offers the visitor synergies with railway infrastructure such as tunneling machinery, technology, ventilation systems, engineering services, tunnel excavations, safety systems and other aspects. Many of the large TBM companies exhibit at InnoTrans. Istanbul Teknik specializes in the production and supply of geosynthetic products including geotextiles, geomembranes, geogrids and geobags, as well as insulation system components, building wraps, liquid membranes, drainage boards, and bitumen coatings. Starting in 1971, ITC SA is a tunnelling equipment designer and supplier. Its application areas are roadway, highway, railway, subway, hydroelectric, sewer and mine tunnels. The company’s strength is the international experience in tailoring its products to match each customer’s requirement. Every tunnel excavation and rail-track reconstruction is different and has its own specific requirements. This is where the ITC expertise, research and development comes into its own and excels. Jenny Engineering Corporation (JEC) is an internationally recognized engineering consulting firm specializing in the planning, design and construction management of tunnels and underground structures, bridges and highways, and specialty type structures such as underground pedestrian passageways, mines and caverns. Established in 1965 by the firms founder Robert J. Jenny, the firm's experience includes major underground projects throughout the United States as well as overseas and Canada. John Hollland is one of Australia's largest and most diverse specialist contracting businesses and has Australia's largest in-house tunnelling division offering tunnelling expertise throughout Australia, New Zealand and Asia in the road, rail, water, wastewater and energy infrastructure markets. Our capabilities cover soft ground, hard rock and mixed ground tunnelling. Our tunnelling experience includes roadheaders, drill+blast and all types of TBM tunnelling. Management, organization, strategy, team alignment work sessions, risk and cost analysis (CEVP process), risk identification workshops, contracting and delivery methods (collaborative processes), reports and surveys. Junying Die Casting Mould Co. Ltd. Founded in 2002 in Dongguang, China, Junying Metal Manufacturing Co. Ltd. has been in the manufacturing of die and moulds for several years. We offer a one-stop shop including CNC machining, finishing and assembling of extrusion, metal stamping or high pressure die cast components ready for your production line. We provide excellent customer service. We also conform to strict quality control system to make sure superb quality of products. We are the largest manufacturers of TBM grout solution sodium silicate - Kiransil. Lachel & Associates, a Schnabel Engineering Company, specializes in consulting and design of tunnels and underground structures for water and wastewater infrastructure, hydroelectric power, and urban transportation systems (road, rail and mass transit). LASPARSAN manufacturers rubber, plastic, metal spare parts and construction machinery including the smallest wet shotcrete machine in the world. With more than 70 employees, the company\'s headquarters and manufacturing facility is in the Gaziantep Industry Zone since 1980. Layne GEO is the geotechnical construction division of Layne Christensen Company, providing design-build capabilities and innovative solutions within the fields of ground improvement, deep foundations, earth retention, and customized equipment design and fabrication. Our services are geared towards soil stabilization and subterranean structural support during the construction or rehabilitation of dams/levees, tunnels, shafts, mines, water lines, subways, commercial buildings, highways and marine facilities. Product lines include jet grouting, diaphragm and slurry cutoff walls, cement and chemical grouting, drilled piles, vibratory ground improvement/stone columns and ground anchors. We have extensive experience in successful completion of complex, schedule-driven major underground construction projects. Lemley International, headed by Jack K. Lemley, provides a wide range of services to public and private sector clients worldwide. Lemley International delivers professional services of the highest quality, tailored to the specific needs of our clients. Each situation is analyzed carefully to determine not only what is required but also to anticipate the ramifications of particular actions. We are committed to providing the expertise our clients expect while meeting or exceeding their requirements in the most cost-effective manner possible. Providing Hyperbaric tunnelling & compressed air solutions to the tunnel boring industry. At LHM Professional Services Ltd. we are dedicated to providing Hyperbaric treatments and compressed air services to the highest level, both on the surface and below. From emergency medical treatments to every-day tunnelling operations such as TBM Hyperbaric interventions, LHM Professional Services aims to make sure that all of those involved are free to go about their work in a safe environment. We are able to provide Hyperbaric Medical Services to many projects where Hyperbaric interventions are necessary and have specialist expertise with regard to Hyperbaric Medicine, Hyperbaric Tunnelling and Tunnel Boring Machine (TBM) works. Lovsuns is set to continue to supply world class tunnel boring machine products and services for our global customers, old and new alike. Our wide range of TBM products include EPBM, single shield rock, double shield rock, convertible (dual mode) and pipe jacking TBMs, refurbishment of machines and cutting tools. We strive to remain as a stable partner in unstable grounds, as we always proved to be, for our customers worldwide. Manufacturer of grouting accessories including mechanical packers and parts for shotcrete and drilling machines. Building upon its vast experience – in particular, with the NEAT construction projects (Lötschberg and Gotthard lines) – Marti Techniques Ltd, specialises in the following business areas: tunnelling machines, conveying technology, formwork construction, plant engineering (stone and earthworks), infrastructure plants (equipment and maintenance), and electrical engineering. The company maintains operations throughout Switzerland and abroad. Based in China, Maxdrill Rock Tools Co Ltd is an ISO 9001:2008-certified manufacturer of high quality, competitively-priced rock drilling tool, as well as self-drilling rock bolts and accessories. Thanks to our highly efficient management and technological innovation, we have successfully gained the approval of our clients and the international market. Owing to supply "energy-saving,economical,efficient" products，we have become one of the most credible manufacturers in the rock drilling industry. MineARC Systems specialises in the design of refuge chambers for use in the tunnelling and underground construction industries, where fires and fall of ground during the construction phases can represent potential hazards to personnel. MineARC TunnelSAFE Refuges perform the same life-preserving functions as standard mine refuge chambers, however they can be custom built to virtually any configuration in order to meet the specific needs of an individual tunnelling project. Our core competencies are risk management, safety & health, machinery & systems safety, and CE conformity assessments. Please see our website http://www.moergeli.com/ for more details. Thank you! At Moretrench, we specialize in dewatering and groundwater control, ground freezing, earth retention and excavation support, deep foundations, underpinning systems, environmental remediation, and industrial construction services utilizing such techniques as deep wells, wellpoints, ejectors, hydrodynamic barriers, slurry trenches, permeation grouting, jet grouting, structural seepage grouting, compaction grouting, fracture grouting, rock curtain grouting, soil nailing, tiebacks, and micropiles. These services are available through full service offices in New Jersey, Florida, New York, Massachusetts, Pennsylvania, Delaware and Washington D.C.
mts Perforator GmbH designs, manufactures and maintains tunnelling technology for the trenchless installation of water supply- and disposal tunnels by pipejacking and segment lining method. Diameters range from 250mm i.d. to 4000mm i.d. Our products offer features that give our customer new opportunities in tunnelling. Suppliers of environmentally friendly shotcretes that are fast setting, producing high early strength, have water stopping capabilities and are chemical and salt water resistant, and of specialist grouts for water cut off and ground stabilisation. The French company NFM TECHNOLOGIES offers proven state-of the art technology for boring machines closely adapted to any kind of geology, without any boring limitation up to 16m in diameter: EPBMs, BENTON’AIR® slurry machines, single or telescopic-shield hard rock TBMs, gripper type and dual mode machines. Normet provides demanding solutions for selected customer processes in underground mining and tunnelling. Normet develops, manufactures and markets equipment and vehicles for mining and underground construction as well as provides a comprehensive range of life time care services around the equipment and the processes of their purpose. As a global market leader in its product areas and from its global base in Iisalmi, Finland, Normet has sales and customer service centers in 22 locations in 17 countries. The South San Francisco branch office of this world-renowned general contractor constructs large, complex heavy/civil projects in the U.S. and Canada. We specialize in tunneling projects such as CSO tunnels, LRT tunnels, and underground stations. Our other civil works include an open-spandrel deck concrete arch bridge as well as water treatment plants, suspension bridge retrofits, highway/interchange modifications, grade separations, dam modifications, and bascule bridge replacements. OSSA is a leading specialist contractor from Spain with 57 years of experience in all types of tunnels and underground infrastructure projects, ranging from transportation tunnels, hydraulic tunnels, to mining and hydro power plant projects. We can undertake the most complex TBM and drill+blast projects at an international level. For more than 25 years, tunnel infrastructure teams around the world have come to trust Optimas Solutions, formerly Sofrasar Tunnel Products, for their fastener solutions — from dowel, bolting and injection systems to anchors and accessories. Our global distribution network and supply chain expertise help to deliver the right solutions when and where you need them. Our consultancy division provides the following services: 1) Feasibility study of proposed tunnelling, trenchless technology, pipelines, dams, railways, irrigations, and power generation (including hydroelectric, conventional fossil fuel, thermal and nuclear (CANDO) generating stations), distribution transmission, and allied Engineering. 2) Selection of construction equipment. 3) Geotechnical investigation and analysis including geologic reconnaissance, site exploration, and laboratory testing. As an industry leader in tunnel engineering and design, Parsons provides innovative and economical solutions for the fast-track creation of underground structures and facilities around the world. Our underground engineering expertise encompasses the full spectrum of state-of-the-art tunneling technology and systems engineering. Parsons has, over the years, introduced numerous innovations to the tunneling industry, including advanced hard rock and soft ground tunnel boring machine (TBM) technology, single pass tunnel construction, and advanced tunnel waterproofing systems. We also lead the industry in electrical, mechanical, ventilation, and fire and life safety systems. The rock mechanics testing laboratory at Penn State University is an active and state-of-the-art facility. Among other things, the facility includes a rock/sample preparation unit for coring, cutting and grinding of samples and various testing equipment for standard rock mechanic tests such as UCS, BTS, point load, ultrasonic wave velocity or dynamic elastic moduli, Cerchar, and core scanning. The PSU geomechanics lab is specialized in undertaking tests for the tunnel industry. Pöyry’s project experience covers the design and construction of more than 1,000km of tunnels for transportation infrastructure and more than 1,000km of shafts and water tunnels worldwide. We advise and support our clients, whether in the private or public sector, through the entire life-cycle of a tunnel’s development. Our professional approach towards analyses and problem solving for underground structures is based on an in-depth understanding of possible excavation methods, including cut-and-cover methods, tunnel excavation in soft ground, as well as drill+blast and TBM excavation. Propex Concrete Systems is a leading global provider of fibre reinforcement solutions to the construction, civil engineering and tunnelling industries. Our world-renowned range of FIBERMESH® micro-synthetic, NOVOCON® Steel, ENDURO® macro-synthetic fibres and NOVOMESH® engineered fibre blends are designed to provide performance benefits over the entire life span of the concrete. Our FIBERMESH® 150 micro-synthetic fibres are also internationally proven to give first class resistance to explosive spalling during fires and are used on tunnel projects world-wide. Manufacturer of fiberglass rebar and fiberglass rockbolts for tunnelling. Pultrall is the world leader in fiberglass reinforcement bars and counts thousands of field applications over the last decades. V-ROD GFRP bar is used in soft-eye applications while the rockbolts are used as temporary anchors. V-ROD* composite rebar has been manufactured by Pultrall since 1987. The FRP composite rebar is made from high strength glass fibers and an extremely resistant vinyl ester resin. This product is perfectly suited for the reinforcement of soft eyes in diaphragm walls for away by TBMs. Whether it is straight or bended, you will find that V-ROD offers a range of products to fulfill all your needs. Our latest product release is a 60GPa E-Modulus rebar. Ask us about it. Professional support from its own team of engineers. Reprotex offers innovative solutions for mobile wastewater tretament for recycling the treated water. Main applications are concrete removal by hydrodemolition operations and tunnel wastewater treatment. We have invented a new tunnel drainage technology called RockDrain. We would like to license our technology in USA & Canada. Sandvik Construction is a business area within the Sandvik Group providing solutions for virtually any construction industry application encompassing such diverse businesses as surface rock quarrying, tunneling, excavation, demolition, road building, recycling and civil engineering. Sandvik Construction’s comprehensive offering for tunnelling includes tunneling jumbos, roadheaders and cutting attachments, bolters, drilling and cutting tools, hydraulic breakers, loading and hauling equipment, mobile crushers, parts and consumables, financing, training, technical support, and repair and rebuild services. Know-how for special solutions The company SBM Mineral Processing GmbH is a full-package supplier for stationary and mobile concrete mixing plants for ready-mixed and prefab concrete as well as mineral processing plants and conveying plants for the raw material and recycling industries including service and support. Decades of experience in engineering and manufacturing make SBM a strong partner for sophisticated solutions. Schauenburg FLEXADUX Ventilation Ductings are a part of the Schauenburg-Group product range for nearly 60 years. Schauenburg FLEXADUX Ventilation Ductings can be used wherever ventilation is required for tunnelling and shaftsinking as well as for mining of coal, salt and ore and a lot of other mineral resources. Highly developed mechanisation of mining and tunnelling today demands high-performance ventilation. To meet these demands Schauenburg FLEXADUX ducting is being developed continously and in cooperation with customers, government authorities and mining industries. SealGuard was formed in 2004 with the goal in mind of developing and manufacturing world class water sealing solutions. Our products have been used on the Big Dig highway tunnels in Boston, USA; at Ground Zero in New York City; on the Dulles Airport transit tunnels in Washington DC; on many coal, limestone, potash, and other mines; for construction of geothermal wells, dry-docks, and virtually anything else that can suffer water ingress leaks. Shaft Drillers International (SDI) is a world leader in large diameter, mechanically excavated shafts and ground stabilization for servicing mining, tunneling and civil projects on a global basis. Sireg supplies, from 1936, cost-effective and innovative solutions for deep foundations and tunnelling. The company manufactures non-metallic products such as: grouting manchette pipes and accessories, packers, frp reinforcements for soft-eye, glass fibre tie bars, gfrp anchors and rebars, waterstop for concrete joints, drainage pipes. FRP bolts, dowels and gfrp permanent reinforcements are also among the appreciated solutions that Sireg can design and fabricate. Topographic surveys, measured building surveys and land surveyor. Sitechnics specialises in producing highly accurate digital survey drawings of land and buildings, both in the UK and across Europe. Advisors to the tunneling industry, legal and insurance professions in the fields of ground engineering, engineering geology and expert witness. Instrumentation and monitoring services offered to large urban sensitive tunneling projects including reference projects in the cities of Barcelona, London, Amsterdam, Budapest, Paris and Seattle among others. World leader in AMTS applications, automatic data acquisition, and visualization systems for real time risk management. Specialist Building Products is a manufacturer of epoxy resin, polyurethane and methyl methacrylate water proof resins, and civil engineering adhesives for adhering steel to concrete, concrete to plastic, and minerals to composites adhesives. Stainless UK Ltd is a specialist manufacturer of stainless steel reinforcement, anchors, tie bars, Grip-Bar® and fabricated products for the civil engineering and geotechnical industry. We are an ISO 9001:2008 company established in 1953. We are the leading manufacturer of steel fiber for concrete reinforcement and shotcreting as per ASTM A-820M standards and as per the aspect ratio required by the customer. We are the preferred supplier for a selection of SFRC and SFR shorcrete projects in India and overseas that have been undertaken by leading construction companies. Our brand SHAKTIMAN Steel Fibres have been exported to Europe, Panama, Australia and the Middle East. Since 1970, Stirling Lloyd has been developing and manufacturing advanced waterproofing membranes for the civil engineering and construction industry. Its membranes are protecting numerous tunnels, bridges and high profiles structures throughout the world. The company provides a full range of waterproofing membranes specially designed for the challenges of the underground environment and suitable for application in immersed tube, cut-and-cover and NATM/SCL bored tunnels as well as on suspended decks in tunnels. Structural Anchor Supply crafts foundation applications ideal for a variety of construction projects. Marine tunnel design, engineering and construction for desalination intakes and outfalls. SUPERIOR GUNITE is the industry leader in pneumatically placed structural concrete. We have been setting the standard in the technology and application of cast–in–place concrete and shotcrete for more than 50 years. The company has built its reputation on alternative, creative, cost effective building solutions. Whether we are called upon to build the infrastructure for essential transportation and water management systems and other major civil, industrial and commercial projects, Superior's expertise and innovative methods have been put to the test building the vital infrastructure of the communities we serve. We are a national company and can place our expert teams and equipment any where in the continental United States and Hawaii. Team Mixing specializes in the design and manufacture of fully automated, high capacity, grout and slurry mixing systems. The batching plants feature the Tornado series of high shear colloidal mixers which produce high quality mixes shown to reduce grout bleed and maximize grout strength. Cement consumption can be reduced for a given strength requirement thereby generating significant cost savings over the life of the project. Terramin is an innovation-led ventilation, occupational health and environmental (VOHE) solutions provider to the African underground mining and tunneling industry. Utilization of proprietary solutions such as its TERRAJET® confined space ventilation network is positioning it as a low-cost alternate for force ventilation using compressed air in Pipe Jack and construction applications to ensure regulatory and SHEQ measures are realized in working environments. Conveyor maintenance specialists, providing a 24hr service, 365 days a year worldwide. All the latest vulcanising equipment and fully trained experienced staff. We have just completed the Crossrail project in London with great success. With more than 50 years of innovation and experience, The Robbins Company is the world's foremost developer and manufacturer of advanced, underground construction machinery. A software company based in The Netherlands with offices in the UK and USA, and established from the computational mechanics department of TNO's Building and Construction Research Institute. Its core expertise is numerical analysis applied to civil and geotechnical engineering. Analysis of concrete, composite and masonry structures, and the interaction between these structures and the soil are its specialty. Lubricants for all automotive and industrial applications for the construction industry. Offers equipment for sale such as tunnel boring machines, segement moulds, guiding systems, formwork, conveyors, locomotives, TBM consumables - tail skin greases, foam, lubricants, embedded components for tunnel lining, bolts, EPBM gaskets, grouts/chemicals. Trimble Monitoring Solutions provides state-of-the-art hardware and software solutions for the civil, earth and seismic monitoring industries to enable informed decision making. For more than 40 years TT Technologies has been the world leader in trenchless technology. TT Technologies' complete line of trenchless equipment includes: piercing tools; guided boring tools; pneumatic, static and lateral pipe bursting systems; pipe ramming tools; bentonite mixing systems; constant-tension winches; directional drills; and mini-directional drill rigs. Each year more trenchless sewer, water, gas and electric rehabilitation and replacement projects are successfully completed with trenchless equipment from TT Technologies than any other supplier. TT Technologies is the leader in trenchless! Tunnel Sensors design and manufacture our own analysers specifically for pollution monitoring in the road tunnel environment. Our philosophy is to produce high quality systems that will meet the needs of all tunnel operators. Our product range includes: •	VIPA Visibility Sensor •	VCOM Combined Visibility & Carbon Monoxide Sensor •	NOVICOM Combined Visibility, NO & Carbon Monoxide Sensor •	AIRFLOW Sensor utilising ultrasonics to measure air speed and direction. Tunnelling Process Control - Data management and visualization software designed especially for projects involving TBMs. Unique software to support clients, construction management teams and contractors throughout the project with several features including real time view, automatic reporting, visualization of all data, shift reports, quality control, cost control and remote access. Easy to work with, yet still a comprehensive tool designed for screen presentation and paper print-outs. Professionals in manufacture of steel segment moulds, steel segment and other precast moulds with ability to design and plan for segment production layout, and fabricate carousel systems for segment production. Viking Mat Company is one of North America’s largest suppliers of crane mats, timber mats, access mats, laminated mats and swamp mats to the construction industry. Viking Mat Company has been present in the forest products industry for over 100 years and has been a leading supplier in the forestry and construction industry for many years. They specialize in products that prepare construction sites and provide load-bearing work foundations. The VIP team has world-wide experience in the design, manufacture and installation of tunnel segment gaskets. This has led to the development of our unique jointing system for cast-in segment gaskets which are designed specifically to eliminate corner point loading - often the cause of cracked and damaged segments. As well as cast-in gaskets, VIP manufactures a range of profiles for glued-in and hydrophilic gaskets. Our in-house rubber compounding facility allows us to offer gaskets in both EPDM and NBR. Navigation systems for TBMs. The company has regional offices in Shanghai, China (info@vmt-china.com); Brisbane, Australia (info@vmt-tg.com.au); and St Petersburg, Russia (a.gromov@vmt-gmbh.de). Wisko America is a specialty contractor that has been supplying and installing flexible membrane waterproofing systems in underground structures for more than 20 years. Flexible membranes include PVC and Modified PVC and Polyolefin for contaminated conditions. Waterproofing systems can include water barriers, grout pipes and/or regroutable hoses to ensure a dry structure. Wisko also supplies and installs the WA Anchor, formerly known as the BA Anchor, and the Wisko Contact Grout Hose. Tunnelling sludge de-watering systems and management. Available globally. ZED designs, develops and manufactures guidance/navigation systems for all types of TBM. The company’s extensive, in-house knowledge of the engineering principles required, and their application, allows us to take advantage of advances in technology to produce equipment that is innovative, modular, robust and highly reliable. With a range of products for use in the toughest environments, ZED is the best response to the most challenging of projects.